Biochrom have forty years experience in manufacturing amino acid analyzers and supply a complete system of instruments, reagents, columns and support. 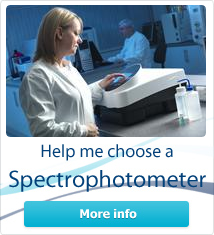 Experts in spectrophotometric measurement. UV visible spectrophotometers, visible spectrophotometers, software, cuvettes, accessories and colorimeters. Our technical support team can help with information on spectrophotometer and microplate instrumentation applications, instrument service and repair, amino acid analysis applications, training courses and certification. 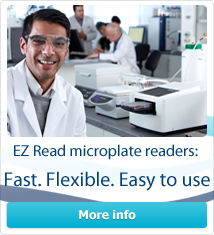 New, ready to use and long-lasting EZ Nin Reagent. No mixing, no nitrogen, no waste! Your personal DNA, RNA, oligos and proteins quantification kit. Biochrom products are available through a global network of distributors.